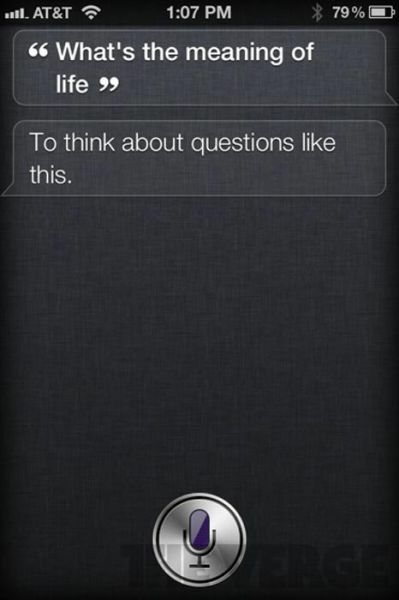 If you tried Siri on an iphone 4s you probably wondered how long till this gets hacked. Maybe for use with iphone 4, ipod or even a standard PC. Well its on it’s way to happening. Applidium has made a certainly interesting post on its progress of hacking siri, but before you read it, it might be important for you to understand how siri works. Basically the Siri app on your iphone 4s records a short audio recording, meanwhile its recording it it analyzes and checks for some regular expressions, eg “make a note”, “call”, “new message”. Just the short stuff then for the big things it sends out your recording to an automated system at Apple’s HQ for a full analyze. Below (in a way) i guess it’s been proven that the server to which you send your recording can analyze all parts of your recording in order to save some battery on your device. The best demo probably is Siri’s speech-to-text feature. We made a simple recording of us saying “autonomous demo of Siri”, and got a perfect result ! Going to //17.174.4.4/ on a desktop machine we noticed that this server was presenting a certificate for guzzoni.apple.com. So it seemed like Siri was communicating with a server named guzzoni.apple.com over HTTPS. As you know, the “S” in HTTPS stands for “secure” : all traffic between a client and an https server is ciphered. So we couldn’t read it using a sniffer. In that case, the simplest solution is to fake an HTTPS server, use a fake DNS server, and see what the incoming requests are. Unfortunately, the people behind Siri did things right : they check that guzzoni’s certificate is valid, so you cannot fake it. Well… they did check that it was valid, but thing is, you can add your own “root certificate”, which lets you mark any certificate you want as valid. That’s when we took some time to think. As people who are used to designing mobile application, we know there’s one thing which is very important when talking over a network : compression. The bandwidth is often limited, so it’s usually a very good idea to compress your data. And what is the most ubiquitous compression library around ? zlib:“//zlib.net/”. It’s a very solid library, really efficient and powerful (makes sense, it’s half french!). So we tried to pipe that binary data through zlib. But nothing came out, we were missing a zlib header. That’s when we thought “hmm, so there’s already this AACCEE header in the request body. Maybe there’s some more ?”. We developpers like to keep things packed. 3 bytes is not a good length for a header. 4 would be. So we tried un-zipping after the 4th byte. And it worked! The iPhone 4S sends identifiers everywhere. So if you want to use Siri on another device, you still need the identfier of at least one iPhone 4S. Of course we’re not publishing ours, but it’s very easy to retrieve one using the tools we’ve written. Of course Apple could blacklist an identifier, but as long as you’re keeping it for personal use, that should be allright! Here’s a collection of tools we wrote to help us understand the protocol. They’re written mostly in Ruby (because that’s a wonderfully simple language), some parts are in C and some in Objective-C. Those aren’t really finished, but should be very sufficient for anyone technically inclined to write a Siri-enabled application. Let’s see what fun application you guys get to build with it! And let’s see how long it’ll take Apple to change their security scheme! Next: What on Earth is China Building in the Middle of the Desert? The xbox has a greater controller, certain i admit that, but the controller’s joysticks are unaligned they usually haven’t got as a lot grip.